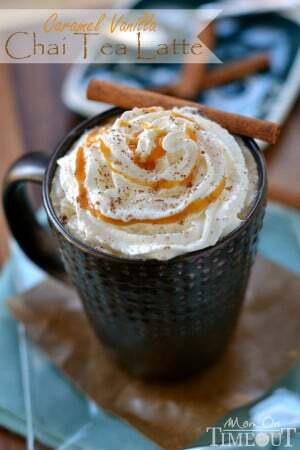 Comfort in a cup! 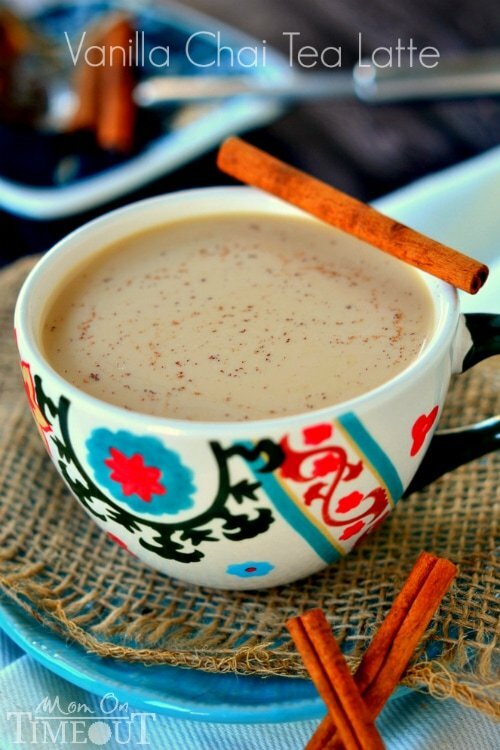 Now you can make your own Vanilla Chai Tea Latte at home! It’s really quite fun because whenever we get together, I get to try out a new tea or indulge in an old favorite. Well, I instantly fell in love with the chai tea blend. It has so much more flavor than other teas. A nice surprise with just enough spice to make you sit up and take notice. Since then my sister has kept me well-stocked with chai tea but sometimes, I like to make it on my own. 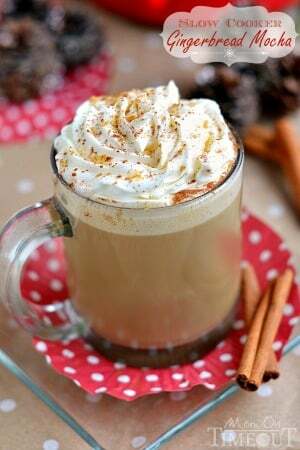 I love being able to control the amount of spice that goes into my Vanilla Chai Tea Latte and once I tried it with a dash of vanilla, there was no going back. Now if you are just seriously rolling in it, go ahead and use a vanilla bean. I’m way too frugal for that but I can only imagine how amazing it would taste. I’ve been enjoying a steaming mug of tea several times a day as I’ve been fighting off the cold I caught a few weeks ago in Salt Lake City. Fortunately for me, NO ONE else has caught the cold – can I get a hallelujah! I know it is in large part due to our new Fellowes AeraMax™ DX-55 air purifier. That sweet machine has been purifying the air of all my cold germs and I could not be more appreciative! I love knowing that I have a full-time assistant helping me keep my family healthy. Seriously awesome. My husband is so in love with it that we’re planning on buying a second unit for our bedroom to help with his seasonal allergies. Make sure you continue to use the 4-step process to keep your family healthy this cold and flu season! If you’re thinking about getting an air purifier, whether it’s for cold and flu season, allergies or asthma, I highly recommend the Fellowes AeraMax™ DX-55. It has done such an amazing job! The Fellowes AeraMax™ DX-55 starts at $189.99 at BestBuy.com. 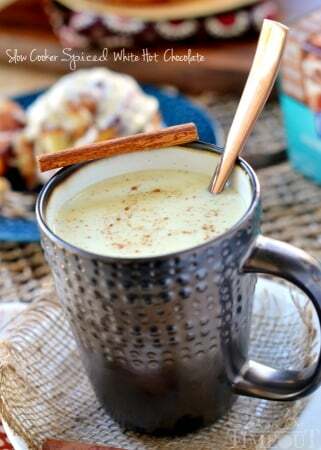 If you do get sick or just need a quick pick me up, make sure you try this Vanilla Chai Tea Latte. Instant comfort! This is definitely one of my favorites and I’m sure it’s soon going to be yours as well! Combine water, peppercorns, cloves, cardamom, ginger, nutmeg and a cinnamon stick in a small saucepan. Turn off the heat and place tea bags in water. Steep for 5-6 minutes. Love this recipe! I quadruple it and keep it in the fridge so I can use throughout the week. So yummy my friends ask for it when they come for a visit! can you store the powder mix? Where did you get that tea cup? I love it!!! 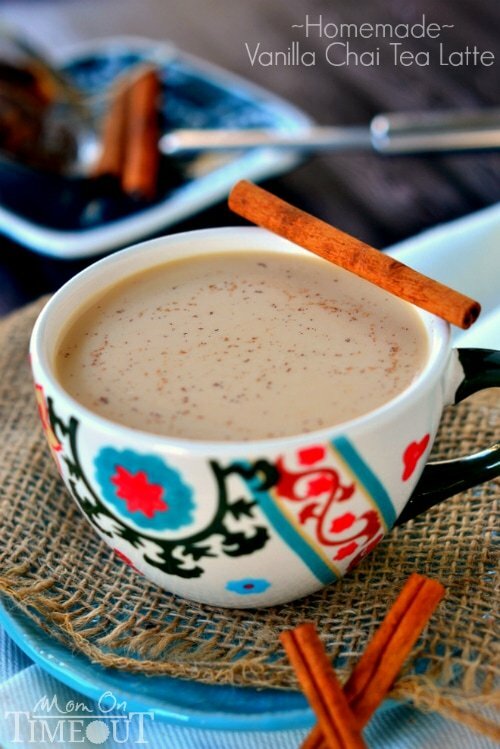 Also delicious chai tea recipe!! Aww! Target Sarah – and it’s one of my FAVES 🙂 Thanks for stopping by! Have you found a big difference with using varying kinds of milk? wow! Definitely trying this out soon! Btw where would you get this beautiful patterned mug? So nice! I made some of this lovely tea this morning. I love tea of all kinds, and this was no different. I added some coconut oil and a little more sugar and it’s fantastic 🙂 Thank you so much for the recipe. Thanks for the recipe. I can’t wait to try it. After giving up coffee for lent last year, I fell in love with chai tea. Now I have to give up coffee altogether and I really need something to keep me warm as it starts to get cold. That’s awesome Kirsten! Let me know what you think! I just made this and is delicious, thanks. Too bad I had to share with my boyfriend.